Dopamine transporter (DAT) imaging with [123I]FP-CIT (DaTSCAN) is an established diagnostic tool in parkinsonism and dementia. Although qualitative assessment criteria are available, DAT quantification is important for research and for completion of a diagnostic evaluation. One critical aspect of quantification is the availability of normative data, considering possible age and gender effects on DAT availability. The aim of the European Normal Control Database of DaTSCAN (ENC-DAT) study was to generate a large database of [123I]FP-CIT SPECT scans in healthy controls. SPECT data from 139 healthy controls (74 men, 65 women; age range 20 – 83 years, mean 53 years) acquired in 13 different centres were included. Images were reconstructed using the ordered-subset expectation-maximization algorithm without correction (NOACSC), with attenuation correction (AC), and with both attenuation and scatter correction using the triple-energy window method (ACSC). Region-of-interest analysis was performed using the BRASS software (caudate and putamen), and the Southampton method (striatum). The outcome measure was the specific binding ratio (SBR). 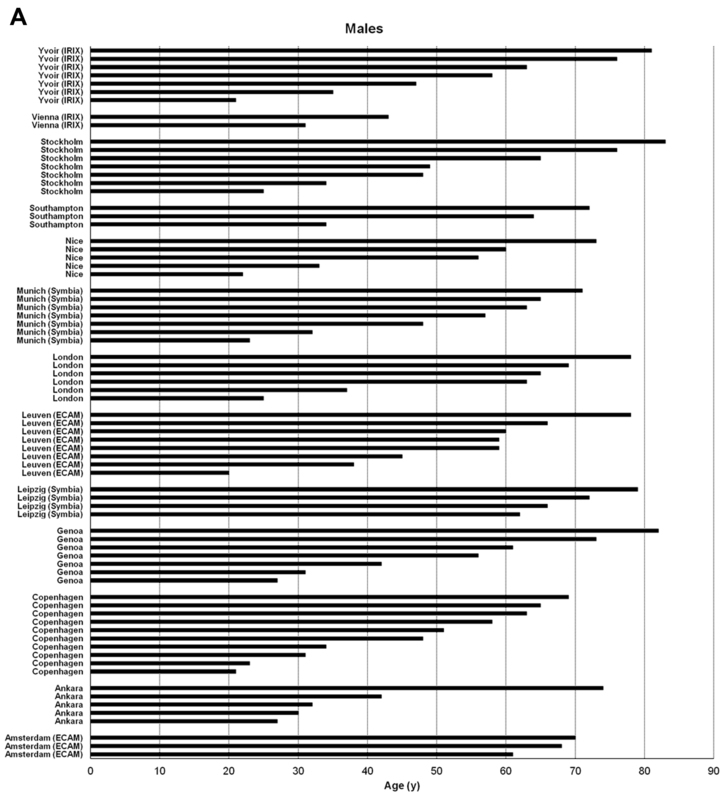 A significant effect of age on SBR was found for all data. Gender had a significant effect on SBR in the caudate and putamen for the NOACSC and AC data, and only in the left caudate for the ACSC data (BRASS method). Significant effects of age and gender on striatal SBR were observed for all data analysed with the Southampton method. Overall, there was a significant age-related decline in SBR of between 4 % and 6.7 % per decade. 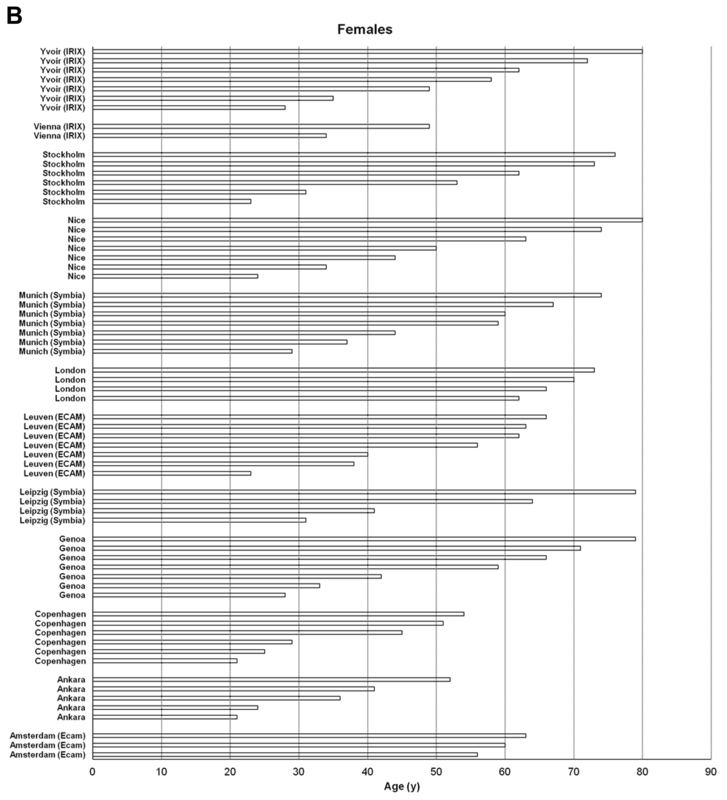 This study provides a large database of [123I]FP-CIT SPECT scans in healthy controls across a wide age range and with balanced gender representation. Higher DAT availability was found in women than in men. An average age-related decline in DAT availability of 5.5 % per decade was found for both genders, in agreement with previous reports. 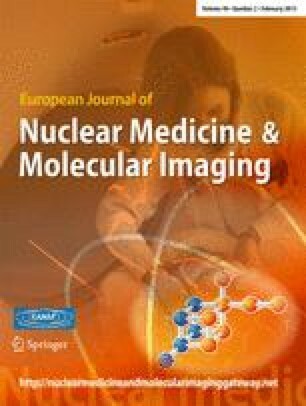 The data collected in this study may serve as a reference database for nuclear medicine centres and for clinical trials using [123I]FP-CIT SPECT as the imaging marker. The online version of this article (doi: 10.1007/s00259-012-2276-8) contains supplementary material, which is available to authorized users. 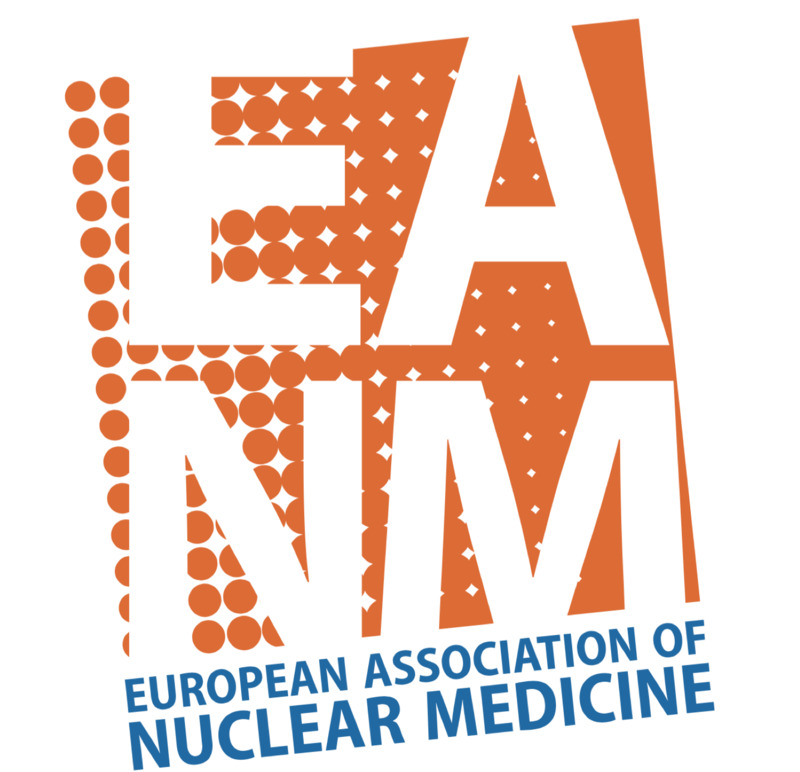 The participating centres thank GE Healthcare and the German Parkinson Association for their financial contribution to this study, ABX-CRO for managing the network activities and the Executive Committee of the EANM for establishing the EANM Research Ltd. (EARL) as an administrative framework for this project. The authors also thank the personnel of each Nuclear Medicine Centre responsible for the quality controls and acquisition of the SPECT data. Prof. Jan Booij is a consultant for GE Healthcare.